The forensic mystery is a pair of skeletons that were found in a cave in a national park somewhere outside of D.C. Brennan quickly identifies them as female and male, both in their late 20s/early 30s. The fracture patterning appears to be blunt trauma, which she interprets as bludgeoning. Angela quickly finds a match through DMV records for her facial reconstruction of the female skull, but can't get anything on the male skull because it was badly broken. Since the female victim's identity is known, most of the forensic work centers on the male victim. Hodgins finds pollen on the bodies and cross-references with the park's pollen count to determine they died on the 13th. He also finds eggs from sternorrhyncha aphididae on the male skeleton, suggesting he was recently at a higher, windier altitude than the cave. The park ranger leads Booth and Brennan to some cabins, where they find the couple's initials carved into a post. In order to figure out more about the male individual, Dr. Edison (who has returned from his random job in Chicago owing to a lack of promotion) decides to do a strontium isotope analysis on the individual's teeth. This analysis tells him that the victim spent the first 20 or so years of his life in Central America. Brennan notes that, based on the oxygen isotope analysis, this man was from Guatemala originally. Dr. Saroyan finds nicotine residue on the man's tissue, and Brennan concludes that he was a migrant worker who picked tobacco. The relationship between the female (a white American marketing manager) and the male (a Guatemalan migrant worker) is an anthropological anomaly according to Brennan, as crossing class boundaries is rare. Dr. Edison finds a connection when he counts the skeletons' osteons and notices osteoblastic activity and changes in their bone mass. Both of these bony characteristics indicate the individuals had osteopenia, which can result from alcoholism, so the team makes the connection to AA. The female showed more bone growth than the male, suggesting she was his sponsor. A quick trip to AA finds that the female used to take people to the park, and Angela works up some nifty topographical overlay that shows them precisely which rocks killed the couple, whose blunt trauma resulted from falling to their deaths rather than being bludgeoned. Finally, Dr. Saroyan finds capsaicin in the tissue around the eye of the male, suggesting he had been pepper-sprayed. Booth and Brennan confront the park ranger, who admits to having killed the couple in an attempt to frame a recently released ex-con who because the man bought his underage niece liquor and contributed to her drunk-driving death. As for the dramatic element of the plot, Booth's new girlfriend shows up and Brennan is all weird about it and blah blah blah. It gives Sweets something to do, I guess. And Dr. Edison breaks character and does care about the leads' romantic relationship. Just when I was starting to like him. Generally, the murder mystery is at least interesting and distracts me from the horrendous will-they-won't-they drama, but the entire forensic plot was telegraphed from the very beginning with the giant smoking Chekhov's gun that was the park ranger. I'm always annoyed how Angela's re-creations look so damned much like the deceased, down to the eye color, hair color and form, nose shape, etc. It was not at all explained how she got a "hit" from the DMV - I guess she somehow ran her sketch through the NCMA (possible trigger warning - some autopsy photos)? Between the pollen and the insect activity, Hodgins could very well have made a fairly precise time of death; one specific day still seems a bit too precise to me, though (but perhaps I'm questioning it solely because it was convenient to the plot). The couple's injuries are consistent with a fall from a height. I would have expected to see more injuries to the man's hands (if he indeed was falling face-down, he would have braced for impact and may have sustained Colles' fractures to his radii). I didn't rewatch the episode, though, so perhaps I missed a discussion about it? Angela used special topographical software to map some rocks? I guess it'd only been two weeks, but those rocks were small and could easily have been moved by scavengers and/or carnivores roaming the area. Dr. Edison attempted strontium and oxygen isotope analysis of the man's teeth in order to figure out where he grew up. I'm glad that they added the oxygen (because the combination of the two is much more useful than just one, as I've briefly discussed here in reference to my own research). Why did Dr. Edison test multiple teeth? And which teeth did he test? He reported to Dr. Brennan that the man spent "the first 20 years or so of his life in Central America." The third molar (the wisdom tooth) may erupt around the age of 20, but it forms between the ages of 12-16. So saying the strontium isotope value represented the first 20 years is just kind of sloppy. As with last week, wouldn't DNA have been faster and cheaper than Sr/O from multiple teeth? 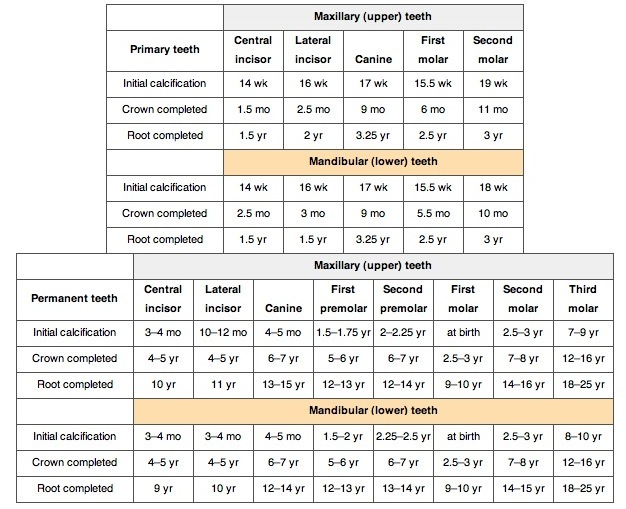 I don't think DNA is much more than $100, and Sr/O from three different molars (representing the ages 0-16) would be closer to $300. DNA likely would have indicated the male was not a white American, but I don't know if there are specific markers that would have given them Guatemalan. Dr. Edison, "strontium" is NOT that hard to say. Practice it with me: strON-tee-um. Dr. Edison also finds the connection between the two skeletons: osteopenia. For the love of the dictionary, I beg the director of this show to LOOK UP how to pronounce words. It is not osteo-pee-NEE-a. It's osteo-PEE-nee-a. Poor Dr. Edison looks like a moron this episode, even if he effectively did the heavy lifting of the forensic part. Osteopenia can be caused by drinking too much, but it can also be caused by smoking too much (and lack of exercise, asthma meds, hormone issues, etc.). With the tobacco residue(?) on the man's hands, I didn't immediately jump to the conclusion that they were both alcoholics. Brennan refers to a possible relationship between the white American marketing director and the Guatemalan migrant worker as an "anthropological anomaly." Even if we buy that crossing class boundaries is rare (especially when the man is of the lower class), what anthropologist would refer to any interpersonal relationship in statistical terms? Angela says about Booth's girlfriend, "She is hot." To which Brennan replies, "Yes, she's in Afghanistan. The temperature is frequently over 100 degrees." Puh-lease. When Booth and his girlfriend talk about how they first met, when he saved her life, Brennan responds, "You're implying that you showed your appreciation sexually." No one is that clueless about social norms. Right? Finally, Brennan notes that "If we don’t look after ourselves, nothing else matters." Apparently the Best Physical Anthropologist in the World has never heard of altruism. Definitely one of the most boring episodes. The Brennan character just gets worse and worse in so many respects with each episode. Did you catch the Grand Canyon-like scene at the end of Couple in a Cave -the park ranger is standing at the spot where the couple were pushed off. Do you know any place near DC that has that terrain? That did seem kind of high to me. Rock Creek is the closest national park to DC, I think (at least with nature rather than a president's home, etc. ), and the Appalachians are about 2 hours west. I don't know if either of those has geography quite like we see in that scene, though. This is beyond doubt a blog significant to follow. You’ve dig up a great deal to say about this topic, and so much awareness. I believe that you recognize how to construct people pay attention to what you have to pronounce, particularly with a concern that’s so vital. I am pleased to suggest this blog. Two big thumbs up, man! i don't think it is so that the average guatemalans isotopes represent the usian lifestyle. (so although i doubt you could allways seperate guatemalan from eg. hondurese, i assume the difference with texas would still be obvious and it wouldn't be as generalised as perhaps the usual person is in usia in either case.) i think texan with the cattle or louisiana with the southern fish, or new york where they probs eat potatoes would also still work. the resolution on prehistoric materials is in the ordre of 100 km often. the places are polluted, the people travelled, but it works fine. Stupid review. I only wanted to know the summary not what you feel: "yawn", "boring": who cares. @Anon - If you want plain old summaries, there are numerous places to get them on the web. I go a step beyond and critique the show. Thanks for stopping by!